VAL is a service that helps consumers engage in value-based shopping. 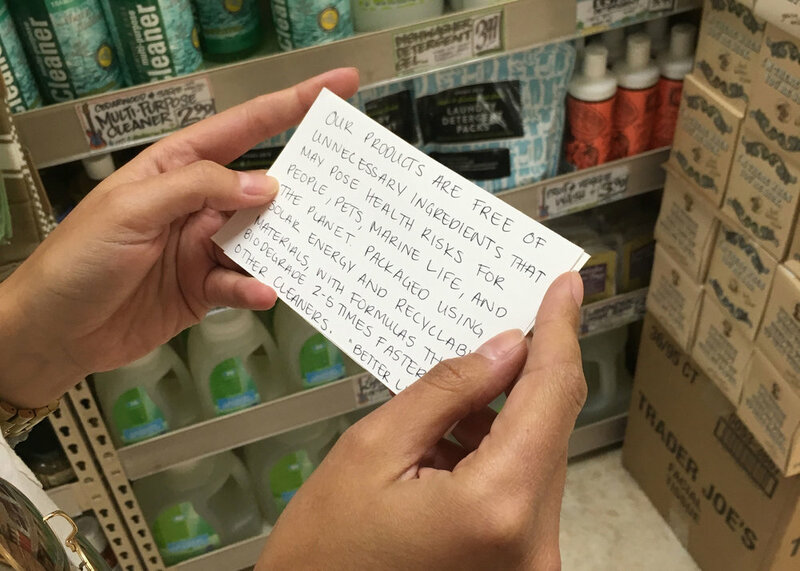 How might we design a service that promotes conscious consumption? VAL is the result of an open-ended service design brief and exploratory research on ethical and sustainable consumption. The project started with the question: How might we design a service that promotes conscious consumption? Diving in, we realized that the term is ill-defined, overused, and highly individual, leading to ambiguous conversations and non-actionable consumer ideas. In 16 weeks, we conceptualized a service offering that helps consumers define and apply conscious consumption to their spending habits. The service is comprised of three intelligent agents working together to support the consumer. These agents include: VAL.U, VAL.AI, and VAL.AR. A cloud-based value engine matching your custom-created consumer value profile with products that meet those values. A trusted shopping companion offering suggestions, advice, and assistance on how to engage in value-based shopping. A cross-platform augmented reality shopping filter making it easy to scan store shelves, compare items, and avoid unwanted products altogether. 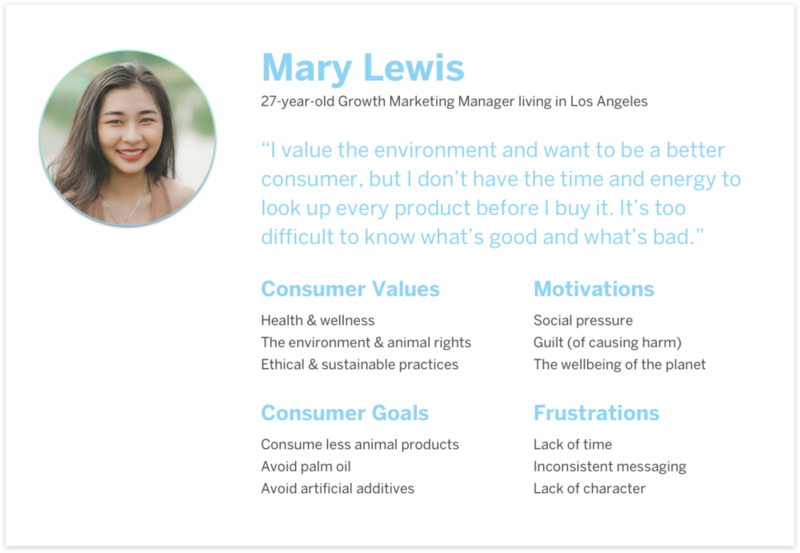 Through one-on-one interviews and shadowing experiments, we learned that most people have a set of consumer values that they identify with. We also discovered that consumer actions often don’t reflect those values. Due to time constraints and information overload, consumers make decisions based on external information and impulse, not their deeper-lying ideas of who they are (or want to be) as consumers. "I don't even want to see the products that I'm not interested in." "It's too difficult. I just want to be told what to do." How might we close the gap between people's values and their actions? According to our younger research participants, marketers, advertisers, and media dictate what they buy and don't buy. We decided to design a service that could help this group make decisions based on their own internal compass without having to spend extra time researching brands and questioning their choices. Step one was to model a persona and create an empathy map. When do people need to be reminded of their values to actually act on them? As we moved into the design phase, we wanted to learn about the impact of information on people's spending habits. 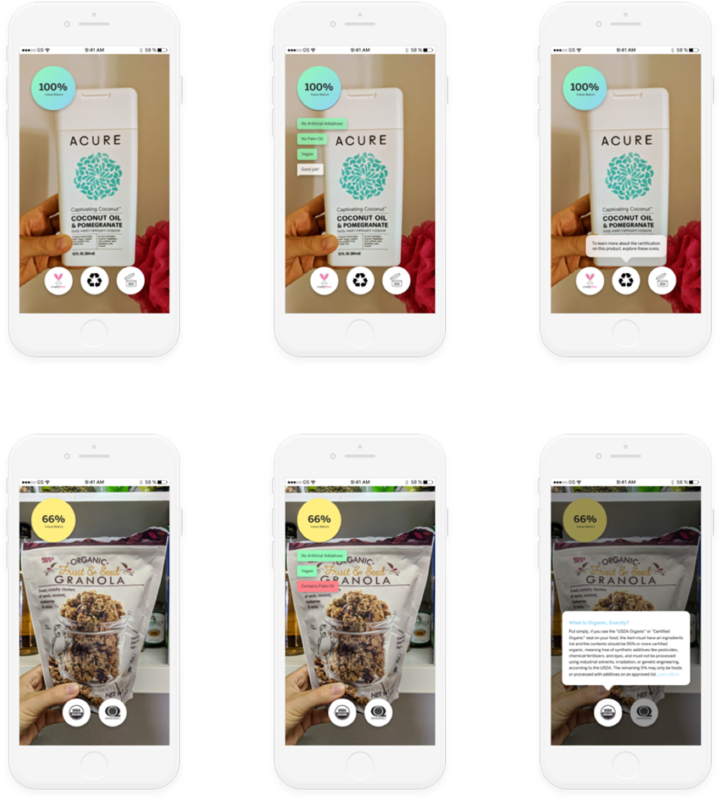 We created two different prototypes and conducted an A/B test. With prototype A, we wanted to know if education has an impact on people's purchases. We asked a group of 30 people to watch a short documentary about the palm oil industry. 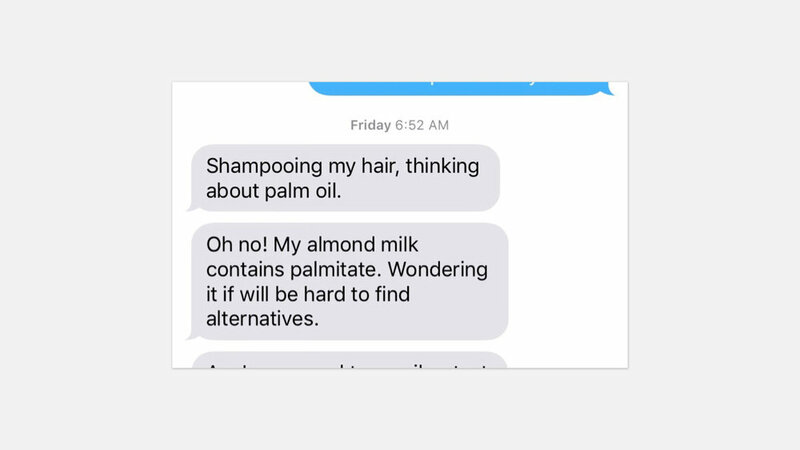 We surveyed the group before, immediately after, and a week later about their thoughts on buying products containing palm oil. Immediately after watching the documentary, people wanted to boycott the palm oil industry. After a week, though, only 2 out of the 30 participants were still actively thinking about the issue. Designing for the window of influence. With prototype B, we wanted to see if information delivered as a customer is shopping would have a greater impact on the customer's decision-making process. We learned that there is a small but effective window to influence people’s purchase decisions: the moment when a consumer picks an item off the shelf. Based on this insight, we imagined an intelligent shopping assistant, VAL, that intercepts at the moment of decision-making with reminders of the consumer's personal values.